On the long list of regular car maintenance tasks, wheel alignment isn’t one of them you can do at home. And with no mile marker or indicator light, many drivers forget about getting their wheels aligned until one goes flat or another tire issue brings them into the shop. It’s just an unfortunate truth of car care – the squeaky wheel may get the grease, but the misaligned tire is ignored. Well, it’s time for that to change. So how are you supposed to know that your car’s tires could use an adjustment? Once you know what to look for, the signs will stand out. Here are 4 obvious indicators that it’s time to hit The Garage. 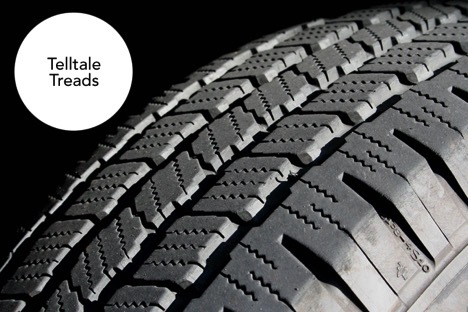 Get down and take a close look at your car’s tire treads. One of the biggest giveaways indicating that your tires need to be aligned is uneven wear on the treads. Compare your front wheels to each other and take note of any major differences. 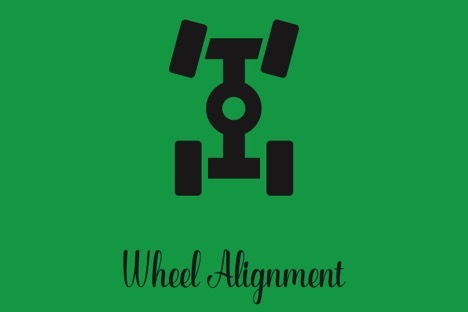 When your wheels are properly aligned, front wheels should match each other, as should the back set. Usually you’ll see signs of unevenness in the form of excess wear on the inner or outer edge of the tire, known as camber wear. Another presentation of unusual wear is feathering. Feathered treads are worn flat and smooth on one side while looking more sharply ridged on the other. This typically indicates that your tires are suffering from what’s known as poor toe alignment. A third strange tire tread pattern your wheels may exhibit is known as heel/toe wear, and it typically means that your tires just need a little more air, though it may be a sign of something more. When in doubt, have a mechanic take a look. Under-inflation is easy to fix, but you don’t want to be driving around with misaligned tires because you didn’t get them checked. You’re driving along the road when your car seems to start shaking. Maybe you’ve pulled onto an unusual road surface, such as poor paving or an area that’s under construction – or maybe it’s your alignment. Poor tire alignment can cause your vehicle to vibrate because the tires are pulling against each other as though trying to drive off in opposite directions. This may also cause them to screech when turning, since turning without the tires working together can result in one dragging across the asphalt. This isn’t a safe way to drive and should be addressed immediately. Some drivers think that leaning steering is just a quirk of their car in the same way that bowlers talk about how some lanes favor a particular curve. Well, regardless of what might be true in the bowling alley, cars don’t naturally steer off center. Rather, leaning steering in your car is more likely a sign that the wheels are out of alignment and dragging you off a straight path. If you’re concerned you’re compensating for a pull in your steering, find an empty stretch of road and try this test. Start driving forward, setting your steering wheel straight ahead, and then let it go. If your car starts to turn off course, then you need your wheels aligned. When you run this test, you may also notice that, although you’re going straight, your steering wheel isn’t centered. The manufactured condition of your car should mean that your steering wheel is straight when your car is going straight. This may not seem like a big deal, but a misaligned steering wheel is just an internal sign of a bigger problem. But Why Aren’t My Wheels Aligned? Even if you know how to tell if your wheels need to be aligned, you might have overlooked why they fell out of alignment in the first place. One of the most common reasons that your wheels may have become misaligned is that you were in an accident. This is particularly common when the accident affects the rear end of the car. Another common reason for misalignment is hitting a big bump in the road. Maybe you drove over a speed bump too fast or drove over the train tracks on your daily commute. Driving in areas with a lot of potholes can also easily cause your tires to tilt or wear unevenly. Just like with anything else, using your car regularly can cause changes to your car. So, even if you bought your car new and have never been in an accident, daily driving can cause your tires to shift. And while manufacturers may deny it, some cars come from the factory not quite aligned properly. Compared to the overall cost of tires, as well as the lower fuel efficiency that misalignment can cause, it’s worth paying to have your tires aligned whenever you get new tires. You should also consider having the alignment checked when your tires are rotated, typically every 5,000 to 6,000 miles. For those unfamiliar with auto mechanics, tire alignment and tire balancing may sound like the same thing, but they are actually separate processes. Typically, your tires will be re-balanced more often than they’ll be realigned, but sometimes tire balancing is all you need to repair improper tread wear. Mechanics can use a special balancing machine to check for any internal weight variations between your tires and can add extra weight to make up for differences that can cause vibration or steering wheel shifting. Your car will drive more smoothly when your tires are balanced. Cars need a lot of specialized care to run smoothly, which means you need mechanics you can trust. 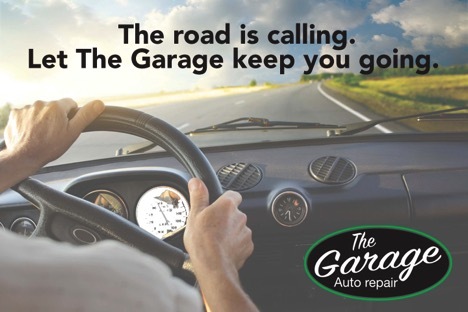 Available by appointment or on a walk-in basis, the crew at The Garage Auto Repair is there for you. We handle regular maintenance, emergency repairs, and everything in between so you can get back on the road. Contact The Garage Auto Repair today to learn more about how we can serve you. The road is calling – let The Garage keep you going.